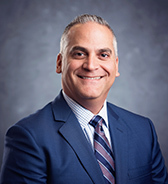 John Dolgetta is the principal and managing member of the Dolgetta Law, PLLC. John received his Juris Doctor degree from Pace University School of Law and also received the School's Certificate of Concentration in International Law. His areas of concentration include real estate, real estate agency law, commercial leasing, corporate and commercial transactional law, mergers and acquisitions, representation of commercial and residential lenders, and wills, trusts and estates. John and his firm act as general outside corporate counsel to the Hudson Gateway Association of REALTORS®, Inc. (“HGAR”), the second largest REALTOR® trade association in New York State (with nearly 11,000 members) and among the largest in the nation. John’s firm also serves as general corporate counsel to the Hudson Gateway Multiple Listing Service, Inc. (“HGMLS”), a wholly owned subsidiary of HGAR. In addition to providing general corporate legal counsel to HGAR and HGMLS, John’s firm, and predecessor firm, also assisted with and facilitated several mergers and acquisitions involving the Putnam Association of REALTORS®, Inc., the Orange County Association of REALTORS®, Inc, the Rockland County Board of REALTORS®, Inc., the Manhattan Association of REALTORS®, Inc., and most recently the Sullivan County MLS. John is also the author of numerous articles on real estate law, real estate agency law, tax law, privacy laws, ethics and cyber breach issues which have been published in the legal column of Real Estate In-Depth (a monthly periodical of the Hudson Gateway Association of REALTORS®, Inc.) and in Legalines (a quarterly publication of the New York State Association of REALTORS®). E-Mail John Dolgetta or jdolgetta@dolgettalaw.com. Instructor of Real Estate Law, Real Estate Agency Law, Tax Law, Contracts and Leasing at the School of Real Estate of the Hudson Gateway Association of Realtors®, Inc.